In New Zealand, 64% of adults own a smartphone, and it is projected to increase to 90% by 2018. In the US, the current smartphone ownership rate is similar, albeit 8 percentage points lower. There is no doubt the world is becoming more and more digitised. Learners are no longer hoping but expecting learning to be available online and also being accessible on their mobile devices. I would imagine, within 10 years, the way we use our mobile devices is going to turn the hundreds of thousands (or millions?) of eLearning modules into outdated and obsolete pieces of ‘digital junk’. This is not to say the eLearning that is out there today is no good; in fact, quite the contrary. It means what we have today is likely to be irrelevant in 10 years’ time. I also predict that many organisations will be spending as much time and money redeveloping all the learning modules to be compatible on multi-devices. Ouch! So, this begs the question, what can we can do today to ensure we keep up with the demands asked of us by learners as learning & development professionals? Take an existing module and using best practice instructional design, take out as much “nice to have” information as you can. Place content like this into either a resources section or a “did you know” layer. Could the messages contained in paragraphs of text be conveyed through a diagram? Relook at all the activities and interactions contained in a module and ask, “would this work on an iPhone or a smartphone?” Be careful though, even if it does work, the button or the drag and drop may be too tiny on a smaller screen and may frustrate the learners. This may be the most important. A module that is built today is most likely ‘adaptive’. This means while the module can run on multiple devices, it simply shrinks the frame of the content down to the screen size. 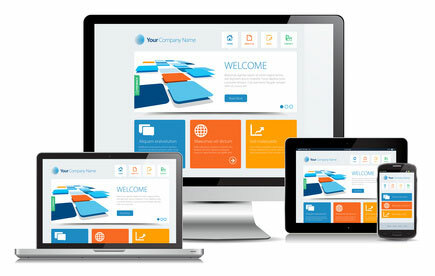 A responsive design (and this is an emerging development in the eLearning industry) is similar to our website. Our website responds to the size of the screen you are viewing it on. Take your iPad or your smartphone out and see how the content is rearranged to maintain text readability. This same logic applies to eLearning modules built on responsive design – one module for multi-devices. Responsive design technology is still very new to eLearning but we are excited to offer this to our clients today! 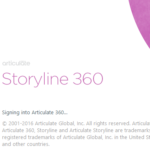 It may not have all the bells and whistles yet compared to the likes of Articulate Storyline and Lectora, but it will certainly ensure that the “ouch” in the years to come is minimised. 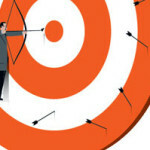 And, most importantly, you are taking big strides to avoiding ‘digital junk’.